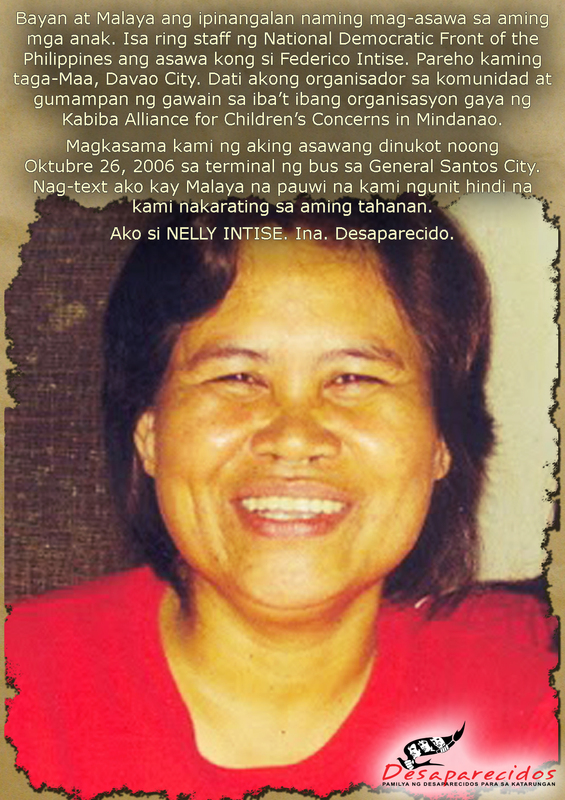 This was the statement of Malaya Intise, daughter of NDF consultant Federico Intise and Nelly Intese who were abducted eight years ago. 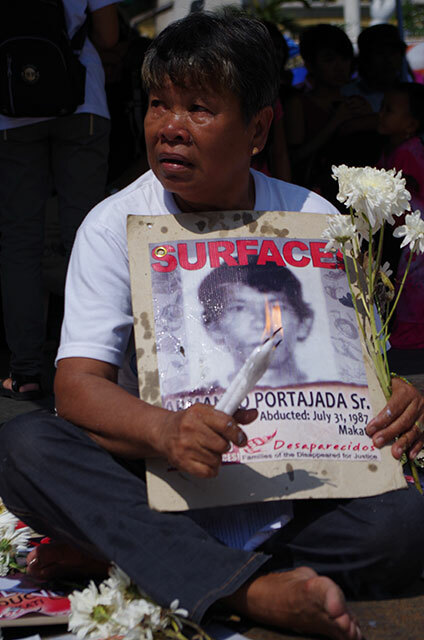 Malaya recalled that her parents, together with Gloria Canaveral, were abducted in Sitio Putting Bato, Barangay Calumpang, General Santos City last October 26, 2006. 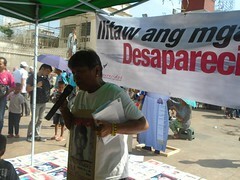 Malaya believes that the military were behind the enforced disappearances. 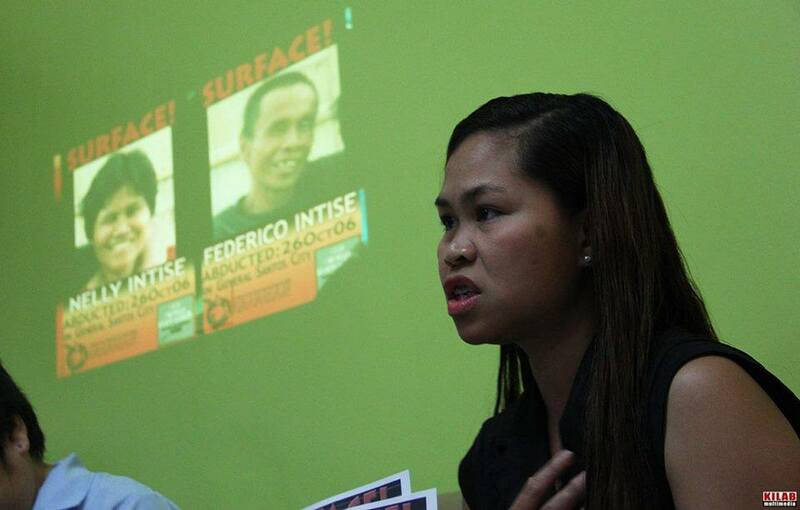 After eight years of living in fear, Malaya finally broke her silence to expose the inutility of the government in addressing the cases of enforced disappearances and breeding a culture of impunity. She stressed that her father was supposedly protected by the Joint Agreement on Safety and Immunity Guarantees (JASIG) as an NDF consultant. She also recalled that during the Arroyo administration, there were a lot of children who lost their parents due to the counter-insurgency program dubbed as Oplan Bantay Laya (OBL). The OBL was meant to stop the revolutionary movement but in the process it targeted critics of the government including progressive organizations, peasants, indigenous peoples, lawyers, youth, among others. 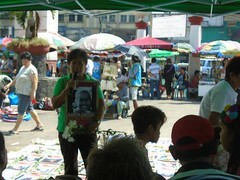 Under the Arroyo administration, not less than a thousand individuals became victims of human rights violations. 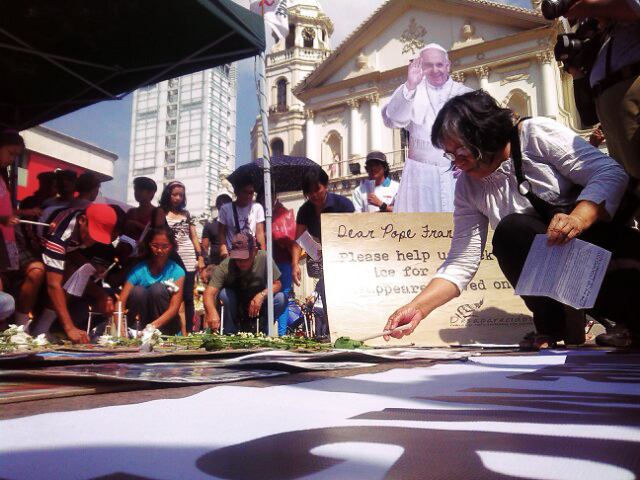 Meanwhile, Sr. Noemi Degala, Executive Secretary of Sister’s Association in Mindanao expressed support to the Intise family in their struggle. She said that this is part of their responsibility and duty to the people. 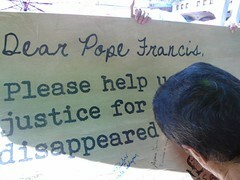 Sr. Degala also expressed dismay over the rampant abuses against the Filipino people. 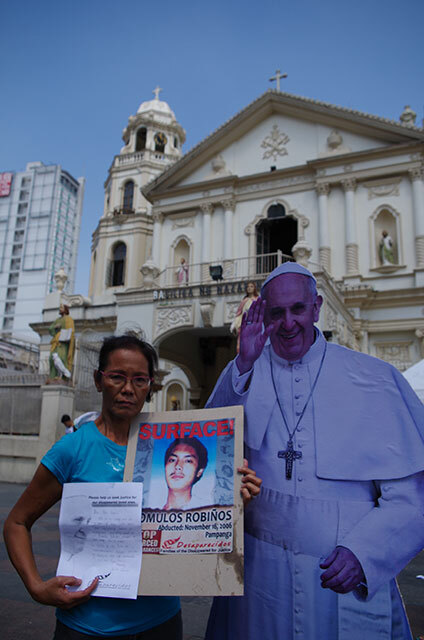 According to Degala, cases of enforced disappearances, extra-judicial killings and militarization continue under Aquino administration’s Oplan Bayanihan. Based on Karapatan’s monitoring, 2 out of 17 cases of enforced disappearance were recorded in Southern Mindanao Region (SMR) while 25 out of 156 victims of extra-judicial killings were in SMR. The National Democratic Front of the Philippines (NDFP) also revealed that not less than 15 of its consultants were detained.